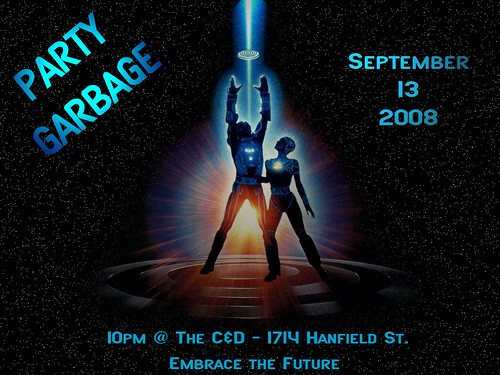 The official Party Garbage garbage can will be there too. He wants to hang out. This entry was posted in Be a Good Citizen, Cincinnati, Music, Party Garbage and tagged 9/13/08, Future World Orchestra, Northside, Party Garbage, Synth, The C&D. Bookmark the permalink.